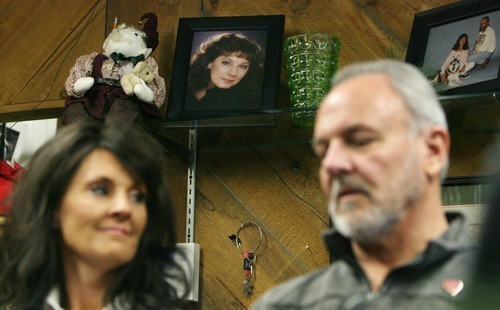 Unsolved crime • Wife and mother was beaten and stabbed to death one year ago in her bookstore. Steve Griffin | The Salt Lake Tribune A white rocking chair sits in a corner among the shelves of books at B&W Billiards and Books in Salt Lake City on Monday, Nov. 28, 2011. 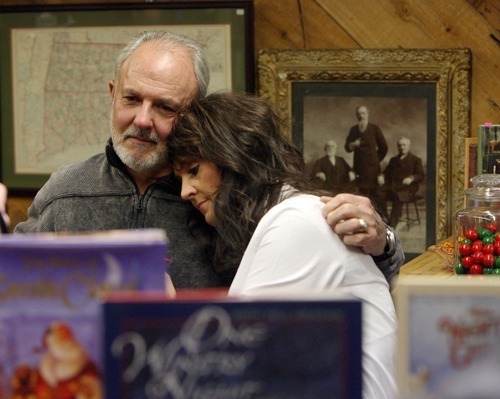 Heidi Miller and her father, Earl Black, talked with reporters at the store on the anniversary of Sherry Black's murder in the bookstore. Sherry was Heidi's mother and Earl's wife. The father and daughter will host a memorial service in memory of Sherry on Wednesday, Nov. 30, 2011, at Wasatch Lawn Memorial Park and Mortuary in Salt Lake City. Steve Griffin | The Salt Lake Tribune Earl Black hugs his daughter Heidi Miller at the B&W Billiards and Books store in Salt Lake City on Monday, Nov. 28, 2011, on the anniversary of Sherry Black's murder in the bookstore. Sherry was Heidi's mother and Earl's wife. The father and daughter will host a memorial service Wednesday, Nov. 30, 2011 at Wasatch Lawn Memorial Park and Mortuary. 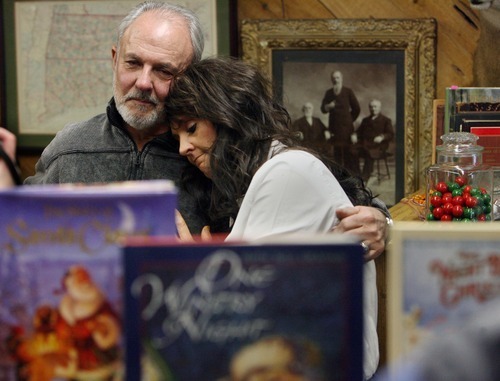 Steve Griffin | The Salt Lake Tribune Earl Black hugs his daughter Heidi Miller at the B&W Billiards and Books store in Salt Lake City on Monday, Nov. 28, 2011, on the anniversary of Sherry Black's murder in the bookstore. Sherry was Heidi's mother and Earl's wife. 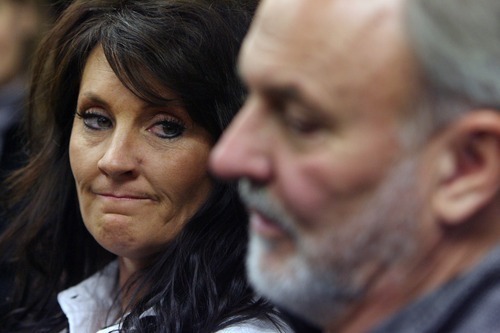 The father and daughter will host a memorial service in memory of Sherry on Wednesday, Nov. 30, 2011, at Wasatch Lawn Memorial Park and Mortuary in Salt Lake City. Sherry Black, South Salt Lake homicide victim. Courtesy photo. Steve Griffin | The Salt Lake Tribune A portrait of Sherry Black sits on a shelf at B&W Billiards and Books store in Salt Lake City on Monday, Nov. 28, 2011, as Heidi Miller and her father, Earl Black, talk with the media from the bookstore where Sherry was murdered one year ago. Sherry was Heidi's mother and Earl's wife. The father and daughter will host a memorial service in memory of Sherry on Wednesday, Nov. 30, 2011, at Wasatch Lawn Memorial Park and Mortuary in Salt Lake City. Steve Griffin | The Salt Lake Tribune Heidi Miller and her father, Earl Black, talk to reporters at B&W Billiards and Books store in Salt Lake City on Monday, Nov. 28, 2011, on the anniversary of Sherry Black's murder in the bookstore. Sherry was Heidi's mother and Earl's wife. The father and daughter will host a memorial service in memory of Sherry on Wednesday, Nov. 30, 2011 at Wasatch Lawn Memorial Park and Mortuary in Salt Lake City. Steve Griffin | The Salt Lake Tribune An emotional Earl Black, talks with the media with his daughter Heidi Miller, from B&W Billiards and Books store in Salt Lake City on Monday, Nov. 28, 2011 on the anniversary of Sherry Black's murder in the bookstore. Sherry was Heidi's mother and Earl's wife. The father and daughter will host a memorial service in memory of Sherry on Wednesday, Nov. 30, 2011, at Wasatch Lawn Memorial Park and Mortuary in Salt Lake City. Steve Griffin | The Salt Lake Tribune An emotional Earl Black talks with reporters with his daughter Heidi Miller, at B&W Billiards and Books store in Salt Lake City on Monday, Nov. 28, 2011 on the anniversary of Sherry Black's murder in the bookstore. Sherry was Heidi's mother and Earl's wife. The father and daughter will host a memorial service in memory of Sherry on Wednesday, Nov. 30, 2011, at Wasatch Lawn Memorial Park and Mortuary in Salt Lake City. Steve Griffin | The Salt Lake Tribune Heidi Miller and her father, Earl Black, talk with the media from B&W Billiards and Books store in Salt Lake City on Monday, Nov. 28, 2011 on the anniversary of Sherry Black's murder in the bookstore. Sherry was Heidi's mother and Earl's wife. The father and daughter will host a memorial service in memory of Sherry on Wednesday, Nov. 30, 2011, at Wasatch Lawn Memorial Park and Mortuary in Salt Lake City. South Salt Lake • Earl Black explained how his wife, Sherry, started her bookstore in the late 1980s after she went back to college, eventually buying an estimated 100,000 books that overtook the billiard supply business he ran from their home here. Then Earl Black said he was hoping to reopen the store sometime. It was only when a reporter asked about Earl Black finding his wife's body in the shop that he stopped talking about the bookstore. "It's not something I'd like to get into," Earl Black said with a look that suggested he was trying to hold back tears. Wednesday will be the year anniversary of Sherry Black's murder, and police are still trying to find the killer. 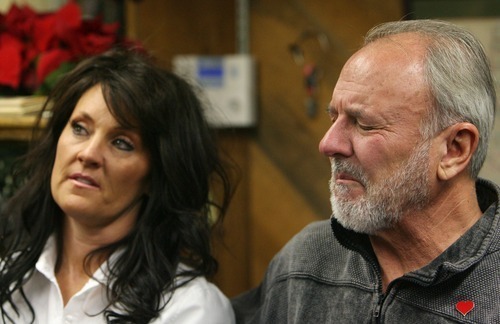 On Monday, Earl Black and his daughter, Heidi Miller, spoke with reporters at the bookstore, B&W Billiards and Books, 3466 S. 700 East, where the murder occurred. Miller is the wife of Greg Miller, the CEO of the Larry H. Miller Group, which owns the Utah Jazz and other businesses. Sherry Black's family has posted her face on billboards, created a website and offered a large reward to find her killer. Thus far, it hasn't worked. "We're blessed that we have those resources available to us, but it doesn't assure anything," Heidi Miller said. For all the Miller Group's business dealings, it was Sherry Black's little bookstore, on the same lot as the Blacks' home and about the size of the cafe at a Barnes & Noble, that received attention Monday. Earl Black and Miller used the store to talk about their wife and mother  from how she developed a love of reading as a child in Provo to her decision to start the store to how she became a respected dealer of LDS texts as well as authors such as Wallace Stegner and Ernest Hemingway  and about the past year. 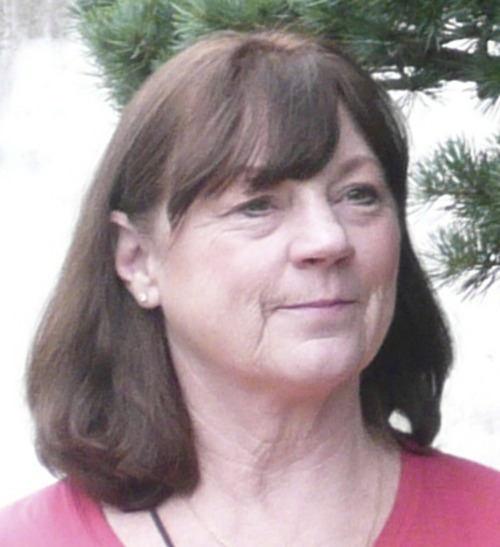 Sherry Black, 64, had a particular fondness for children's books, Miller said, and it was some of those books Miller said she took home after her mother's death. 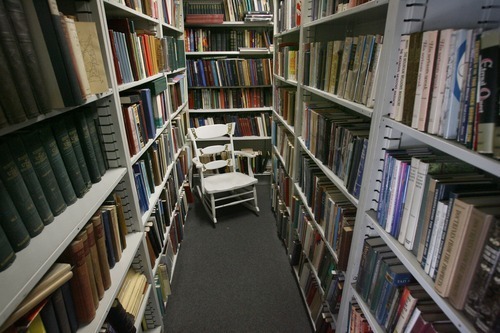 The books had no monetary but plenty of sentimental value, Miller said. 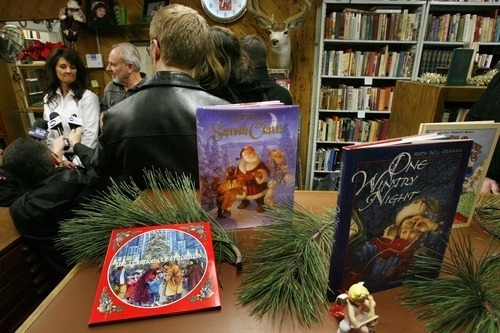 "As hard as the memories are, the bad things that happened here, it's a bookstore filled with love," Miller said. Earl Black called police at 1:43 p.m. on Nov. 30 after finding his wife, police previously reported. South Salt Lake police have said someone beat and stabbed Sherry Black. In December, police disclosed that an Armani Exchange belt was found beside Black's body. Photographs supplied by the police department show "AX" on the buckle and the numbers 323 on a sticker on the buckle's back side. Police said the numbers could be from a store or thrift shop. Then in March, South Salt Lake police announced DNA, perhaps belonging to the killer, had been recovered. Police have said they do not have a motive for the killing. Earl Black and Miller said they have no idea why someone would have harmed Sherry Black. Both Miller and Earl Black complimented South Salt Lake police for their work. Three South Salt Lake detectives joined the family Monday and, at least once, told Earl Black not to say too much about the day of the murder. Earl Black did say that other than his wife's body, there were no other signs someone had been in the store. The door was not forced; there was no indication anything from the store was missing. "There was money in the cash register," Earl Black said. Earl Black said he returned to the store the day after the murder and is in there almost every day. Sherry Black kept much of the store's inventory and its worth in her head, her family said Monday, and they have had to evaluate the books and develop their own filing system. Earl Black considered selling the store, then ruled it out. "With her love of books, I know I need to keep it," Black said. For now, the bookstore remains closed. Miller and Black did not know when it would reopen. P Sherry Black's family is inviting the public to a gravesite memorial service for her 6 p.m. Wednesday at Wasatch Lawn Memorial Park & Mortuary, 3401 S. Highland Drive in Salt Lake City. The family also is decorating a tree in her honor at the Festival of Trees benefiting Primary Children's Medical Center. The festival runs Wednesday through Saturday at the South Towne Expo Center in Sandy.